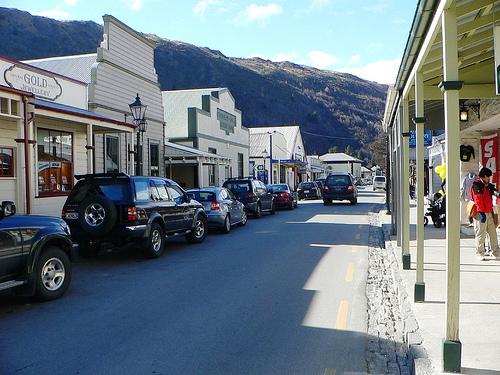 Arrowtown is located on the banks of the Arrow River approximately 5 km from State Highway 6. There is also road access directly to Queenstown via the Shotover Gorge and a third route via the picturesque Lake Hayes. During the high point of the gold rush the population of Arrowtown rose to over 7,000 and became the centre of a larger municipality, which covered the new settlements of Macetown, Skippers and Bullendale (today only ghost towns). 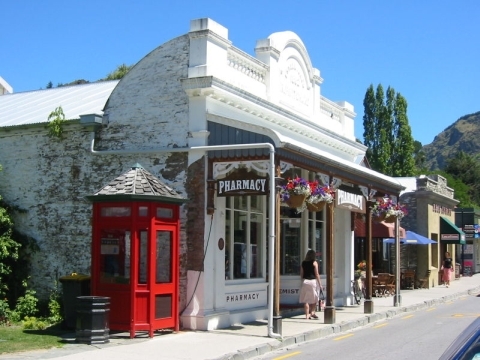 Arrowtown was constituted as a borough in 1867 and became part of the Queenstown-Lakes District in the local government reorganisation of 1989. The town reached a population low of less than 200 people in the 1960s  before gaining popularity again. According to the 2006 New Zealand census, the usually-resident population of Arrowtown was 2,151, a 27.1% increase since 2001. The town has seen considerable growth and construction, but it falls under strict appearance covenants applied by the local authority that aim to preserve the appearance of the town. There are many well preserved buildings used by European and Chinese/Shinto Japanese immigrants dating from the gold mining days of the town. Nearby is the luxury Millbrook Resort, which has a spa and 18-hole golf course. It was the site of the agreement of the Millbrook Commonwealth Action Programme, a programme of the Commonwealth of Nations on the implementation of the Harare Declaration.